Heat oven to 375° F. Line cookie sheet with cooking parchment paper. 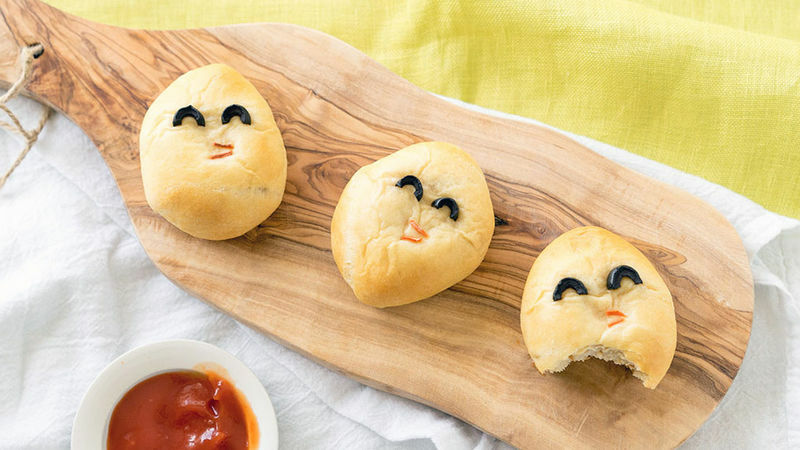 Unroll 1 can (8 oz) Pillsbury™ refrigerated crescent dinner rolls onto cutting board. Pinch seams and perforations to seal. 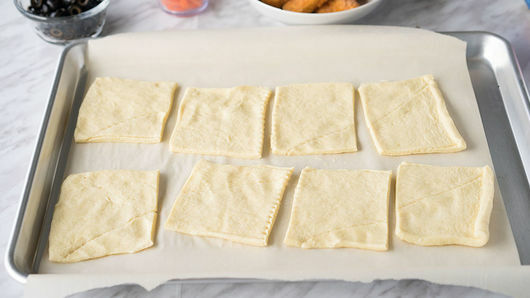 Cut dough into 8 equal squares. 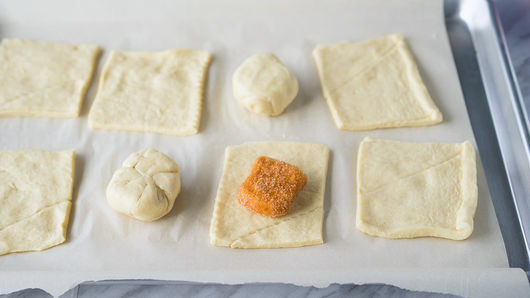 Place 1 frozen breaded cooked chicken nugget in center of each dough square. Pull dough up around chicken, enclosing it and pinching seams to seal. Place pinched side down on cookie sheet. 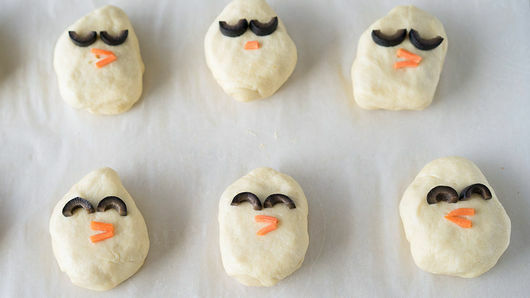 On each bun, place 2 halves of sliced ripe olives for eyes and 2 small pieces of matchstick-size carrot pieces for beak. Bake 12 to 15 minutes or until golden brown. Serve immediately. Add a tablespoon of shredded Cheddar cheese to the inside of the Mini Chicken Buns for an extra cheesy surprise! Make sure to use the fully cooked breaded chicken nuggets for this recipe.